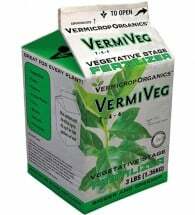 Promotes Green Vegetative Growth. 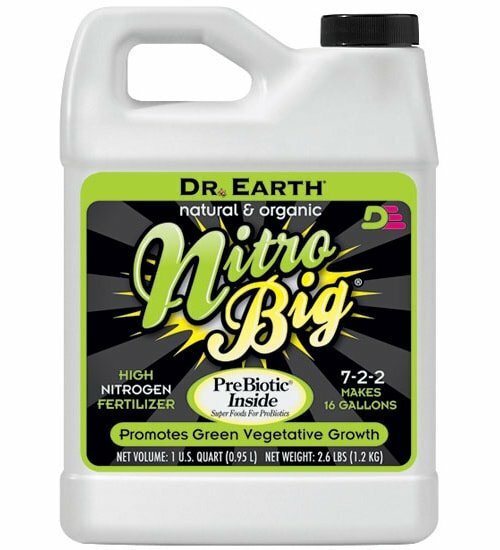 Dr. Earth Nitro Big is a natural and organic, high nitrogen fertilizer designed to promote robust vegetative growth. 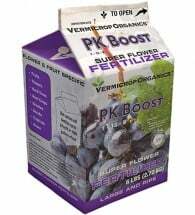 Perfect for all types of gardens, both annual and perennial and includes prebiotics (simple sugars) to feed important soil microbes. Available in quart, gallon and 5-gallon sizes. 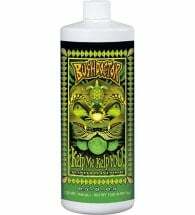 Mix 4 Tbsp (2 oz) per gallon of water and use as a foliar spray or apply directly to the soil around the base of plants. Apply every 2 weeks for best results. Note: If applying as a foliar spray, apply to leaves early in the morning or after 4:00 PM to prevent burn. 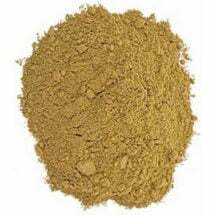 Ingredients: Fish meal, fish bone meal, soft rock phosphate, mined potassium sulfate, kelp meal, seaweed extract and earthworm castings. Gives your plants an extra oomph of nitrogen so they can fill out beautifully.